With Boddika at the helm, UK label Nonplus Records assembles a new compilation Think and Change to be released in various formats, and it proves to be an accurate representation of what we could call the “new sound” of club music, which has begun to move on from the widely appropriated sound of dubstep to foreboding, largely four‐on‐the‐floor techno and house music. The lineup Boddika enlists is nothing short of a who’s‐who of the UK club scene, including Hotflush Records’ Paul Rose under his SCB name, Hessle Audio’s Pearson Sound and the always forward‐thinking Four Tet. However, many surprises are to be found here: a strong slab of acid from Toronto’s Basic Soul Unit, a quality contribution from Dutch producer Martyn, and the final single from label veterans dBridge and Instra:mental, the now defunct collaboration of Nonplus founders Boddika and John Convex. As it stands, Boddika is the most omnipresent force on the compilation, appearing on the aforementioned collaboration “White Snares,” one solo track and two collaborative pieces with UK club innovator Joy Orbison. It is worth mentioning that the new Joy O single “Big Room Tech House DJ Tool ‐ TIP!” was originally on the tracklist but was pulled last minute at artist request. This somehow feels reasonable; his explosive singles should be handled with care, and he is already given ample representation with his collaborations here. Of those two tracks, “&Fate” is the collection’s opener and a new track to keep the pedigree high, and while “Mercy” has been kicking around dancefloors for quite some time, the Boddika “VIP” mix included here is still the heaviest piece present. The idiosyncratic German producer Kassem Mosse works a well deserved double appearance, with “IP Mirrors” acting as the more progressive inclusion and “Broken Patterns” taking a no less effective but more straightforward route– for him, a very relative descriptor. Often considered “too slow for techno” and “too sparse for house,” Gunnar Wendel’s Kassem Mosse project has proved to be one of the most consistently fascinating contributors to the international techno community and it’s about time his music was brought to a wider audience. As Nonplus is still in its early years, there are only a few noteworthy omissions, and everything but the kitchen sink is not necessary to get the point across; however, appearances from Actress and Skream would have further rounded out this list of cutting edge producers that Nonplus has worked with, but it is likely that this label’s best years or signees are yet to come. As Patrick Masterson notes, the lineup here is homogenous to the point of near‐concern in terms of race and gender, but it speaks more about the relatively young label than the greater bass scene and its diverse contributors. 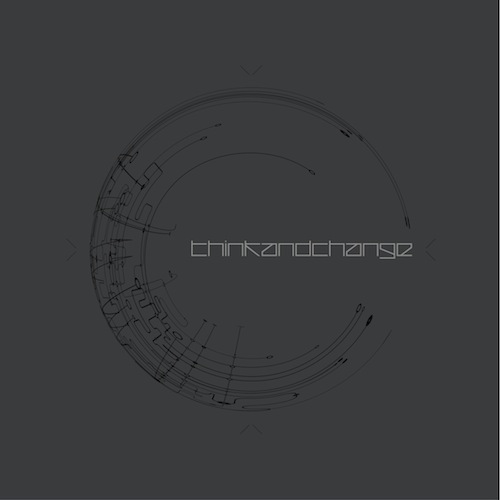 The overflowing of quality techno here is generous to say the least and in ten, five, or two years the label could feasibly save up as many killer tracks; here’s to dreaming big for Think and Change Pt. II.